Architectural signs can greatly enhance the look and desirability of your property or business site. InstantSign offers a variety of attractive and lasting architectural sign solutions, architectural lettering, entry signs and architectural sign systems that can incorporate your logo and graphics in a professional and precise manner. ·Tactile, architectural signage, in compliance with ADA standards, makes your business accessible to everyone. 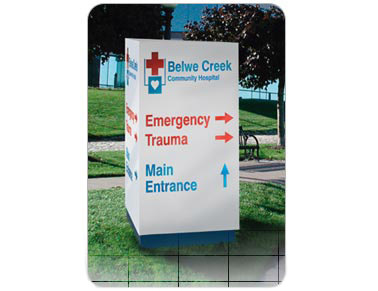 ·Use monument signs to reinforce your property's quality image. ·Identify your property with a monument sign that reflects your image. ·Tenant directories improve traffic flow by directing and informing customers. 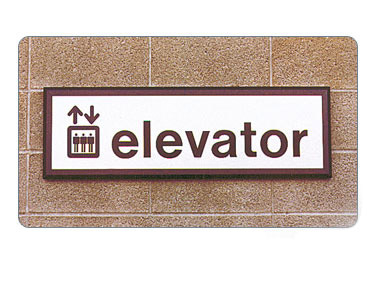 ·Guide people through your space with directional signs that reinforce the architectural elements.